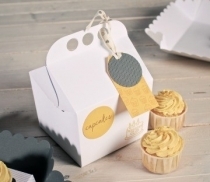 Inspired by the famous Happy Meal box, our Happy Box is perfect for children's parties, events or to wrap a gift in an original way. Surprise everyone with a box that will not go unnoticed! This happy box contains an original handle so that you could carry it wherever you want. 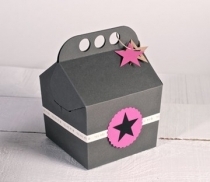 This box is perfect for children's parties and for other events. 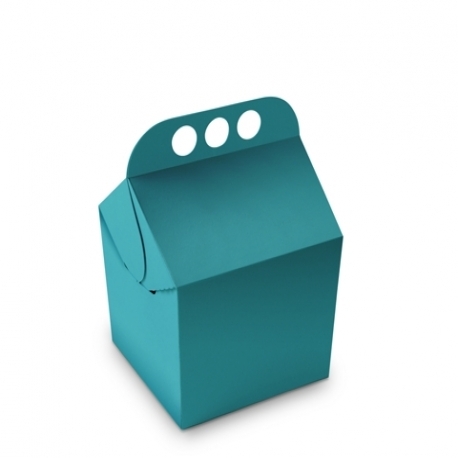 This happy box is made of cardboard in a single piece and its shape is very original. It contains one handle with holes so that you could carry it with you wherever you go. 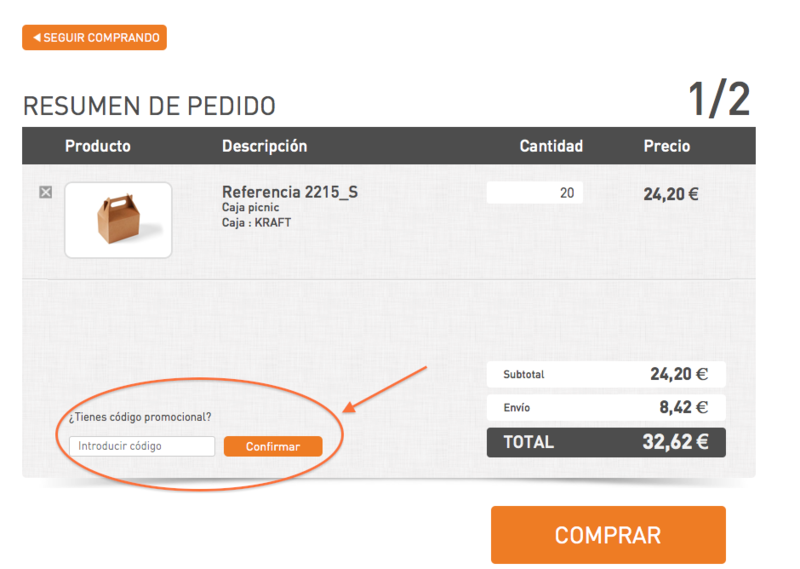 It closes like a basket giving a different touch to your gifts. This very versatile box will give an original touch to any gifts you would like to put inside it. You can use it as a gift wrapper for small treats at any occassions. 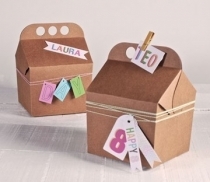 This box is perfect for children parties or events. 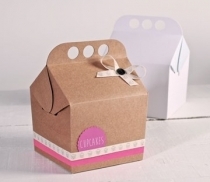 Fill it with candies or sweets and give a nice sweet treat for your guests. The children will love it!